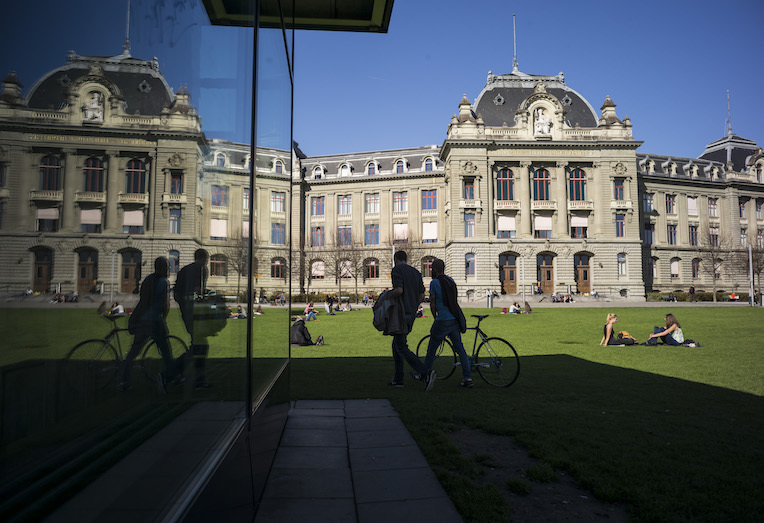 The University of Bern is host to a plethora of international collaborative platforms that unite international researchers in key topics. With in-kind support, the University is proud to offer a home to these international efforts to push the frontiers of science. Here are a selected few. The University of Bern is hosting three core projects under Future Earth, a global initiative advancing sustainability science, which is targeted at guiding natural and social scientists. With more than 20 projects worldwide, Future Earth takes cues from the United Nations’ Sustainable Development Goals and climate and biodiversity agreements, such as the United Nations Framework Convention on Climate Change and the Convention on Biological Diversity. Three Future Earth programs currently benefit from the University’s support: Global Land Programme, Global Mountain Biodiversity Assessment; and Past Global Changes or PAGES. The Global Land Programme (GLP) integrates scientific perspectives on understanding land systems. Land systems encompass all processes and activities related to the human use of land. Using an interdisciplinary approach, the GLP recognises the fundamental nature of how human activities on land affect the earth system. The latter refers to the Earth´s interacting physical, chemical and biological processes. Global Mountain Biodiversity Assessment (GMBA) is a platform for international and cross-disciplinary collaboration on the assessment, conservation and sustainable use of mountain biodiversity. It aims to promote, harmonise, explore and synthesise scientific research on current and future change in biodiversity in mountain regions, as well as providing a framework for involvement of policy makers and stakeholders in research efforts. The Past Global Changes (PAGES) project is an international effort to coordinate and promote past global change research, known as paleoscience. It supports research that aims to understand the Earth’s past environment in order to obtain better predictions of future climate and environment, and inform strategies for sustainability. This covers the themes of climate, environment and humans across timescales ranging from millions of years ago to the past 2000 years. There are currently more than 20 Working Groups and Integrative Activities, gathering paleoscientists from all over the world to tackle broad questions that cannot be answered by a single research team. International and interdisciplinary collaborations are encouraged, as well as the promotion of involvement of scientists from developing countries in the global paleo-community discourse. Some of the topics include volcanoes, speleothems, floods and fire.